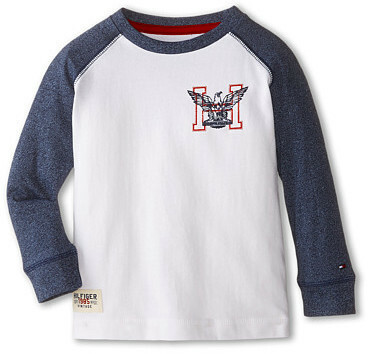 Suggest that your little man pair a Tommy Hilfiger kids marled long sleeve crew tee with grey jeans for a laid-back yet fashion-forward outfit. 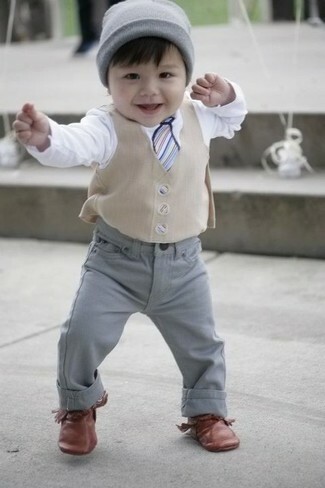 As for footwear your tot will love brown oxford shoes for this style. Suggest that your boy opt for a Tommy Hilfiger kids marled long sleeve crew tee and beige shorts for a fun day in the park. This ensemble is complemented wonderfully with grey sneakers. 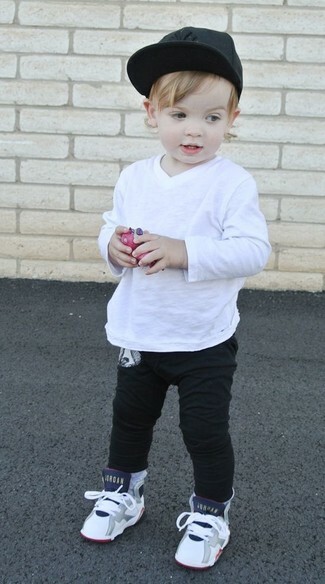 This combo of a white long sleeve t-shirt and navy jeans has all the potential to become your little man's favorite. 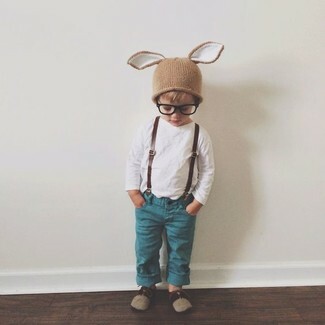 This look is complemented perfectly with brown sneakers. 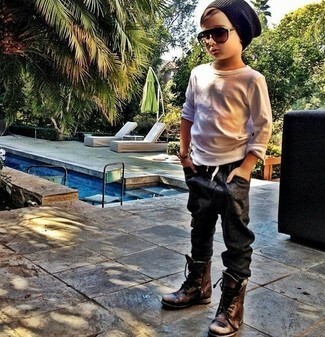 Suggest that your child team a white long sleeve t-shirt with light blue sweatpants for a fun day out at the playground. 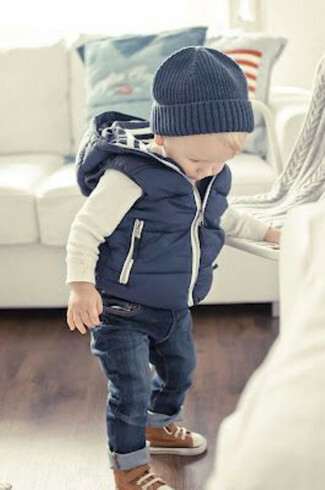 Complete this style with blue sneakers. Suggest that your boy dress in a Tommy Hilfiger kids marled long sleeve crew tee and black sweatpants for a fun day out at the playground. Complement this getup with white sneakers. 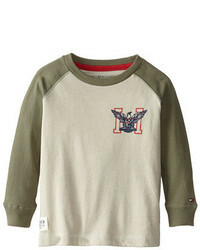 Go for a Tommy Hilfiger kids marled long sleeve crew tee and grey sweatpants for your child for a laid-back yet fashion-forward outfit. Brown boots are a nice choice to complete this style. Suggest that your munchkin go for a Tommy Hilfiger kids marled long sleeve crew tee from 6pm.com and black jeans for a comfy outfit. Dark brown boots are a good choice to round off this getup. 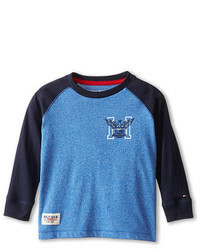 Suggest that your boy pair a Tommy Hilfiger kids marled long sleeve crew tee from 6pm.com with blue jeans for a laid-back yet fashion-forward outfit. Brown boots are a wonderful choice to round off this style. 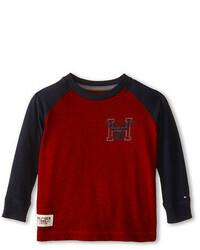 Suggest that your tot team a Tommy Hilfiger kids marled long sleeve crew tee from 6pm.com with blue jeans for a fun day in the park. 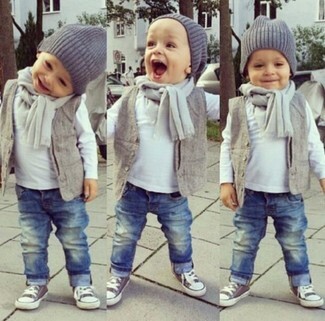 As far as footwear is concerned, suggest that your boy go for a pair of grey sneakers.